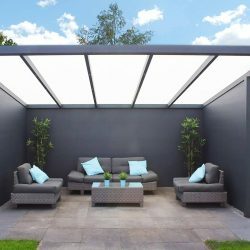 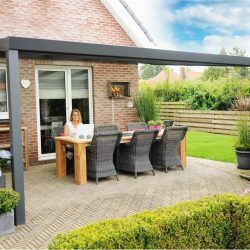 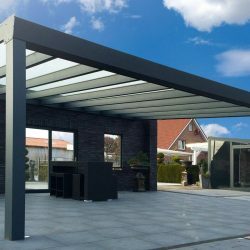 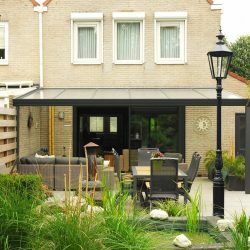 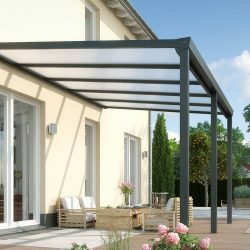 A RoomOutdoors veranda is made of aluminium of the highest quality. 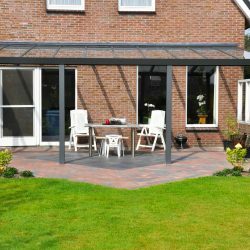 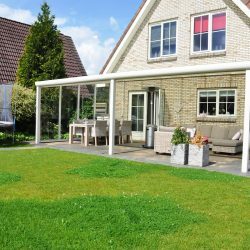 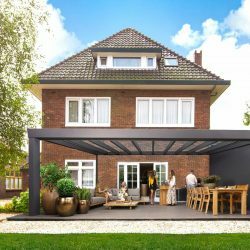 Our verandas are manufactured according to German construction standards, ensuring a guaranteed strong, safe and solid system. 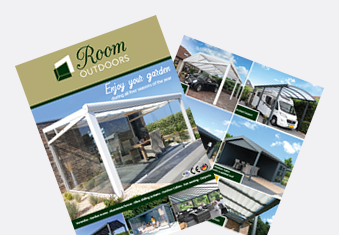 Our aluminium is powder coated in 4 standard colours: White (RAL 9016), Cream white (RAL 9001), Anthracit with texture (RAL 7016) or Grey texture (RAL 9007).